These entrepreneurial brothers own two acres of land, and produce just enough paddy to feed their families. As cultivating paddy is a water-intensive task, drawing out large amounts of groundwater was difficult due to frequent power cuts. Moreover, the alternative of pumping out water using a diesel set was too expensive and hand-pumping required a lot of effort. This set the brothers thinking, and in 2003 they came up with a solution that was a much cheaper and effective alternative. 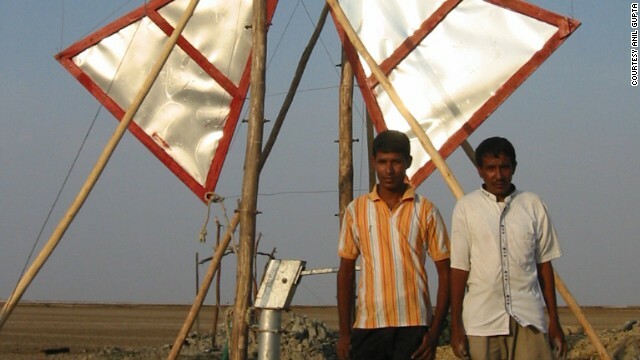 They invented a simple windmill using bamboo and a tin sheet, and attached it to a hand-pump. So, both of them started working on making a windmill unit from locally sourced materials such as bamboo wood, strips of old tyres, pieces of iron, etc. With the help of a carpenter, the first prototype was ready in four days. Since the supporting framework was composed of bamboo, the final product costed Rs. 4500, vis-a-vis the commercially available wind mills which cost over Rs. 60,000. 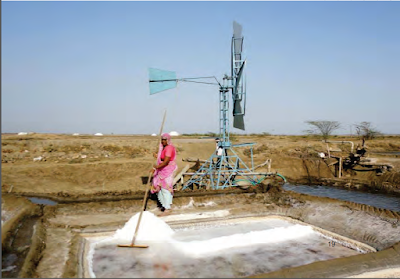 India is the third largest salt producing country in the world with an average annual production of about 157 lakh tonnes. 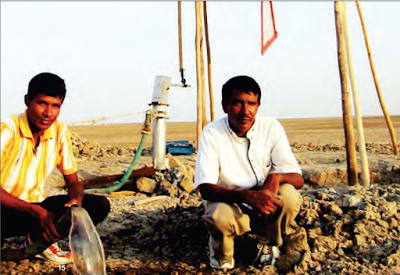 The Little Rann of Kutch (LRK) supplies 21% of the total salt production of India. Salt workers, known as Agarias, are some of the poorest people in the state. Agarias mostly used counterpoise, a method that requires two people, one for lowering the counterpoise and other for straining the water. Some of them started using diesel pumps, but the exorbitant machine and fuel costs made a huge dent in their already diminishing returns from salt farming. 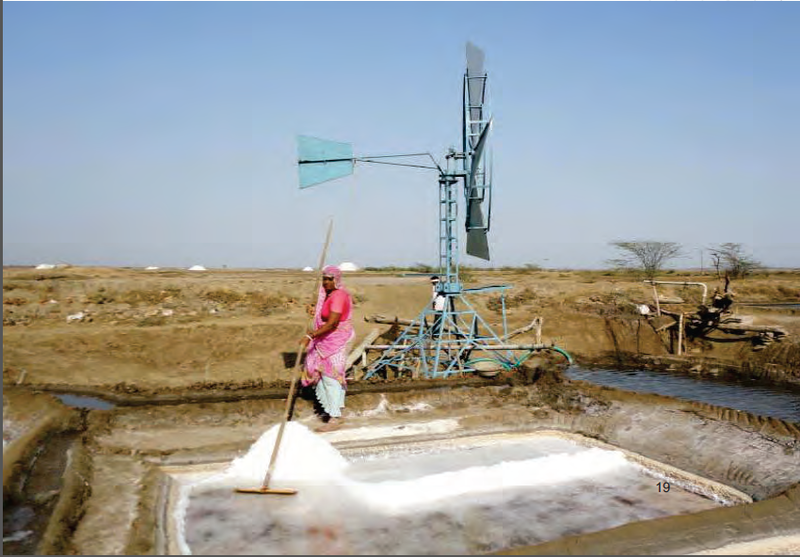 With the mission to improve lives of salt farmers, Gujarat Grassroots Innovation Augmentation Network – West (GIAN W) along with National Innovation Foundation (NIF-India) took the lead in diffusing the innovation in salt farming areas.